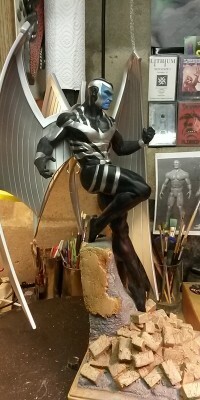 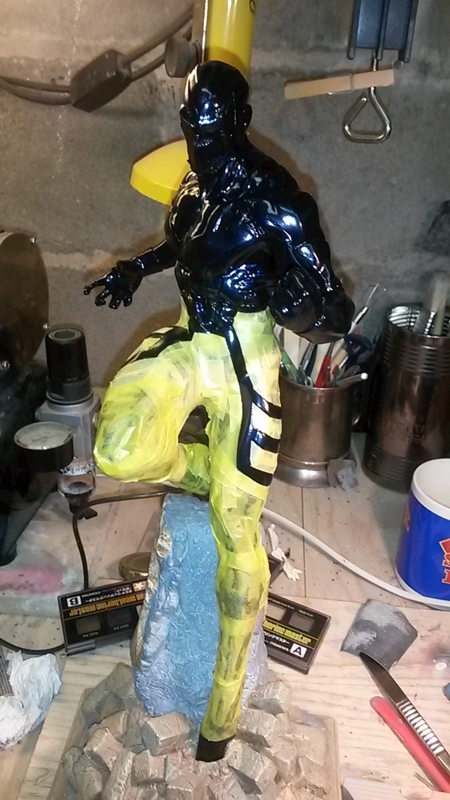 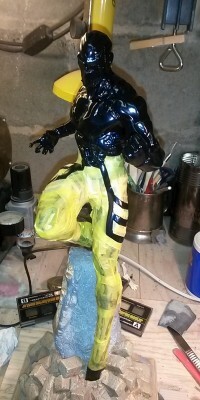 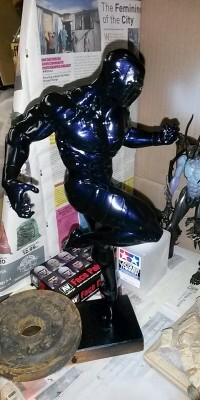 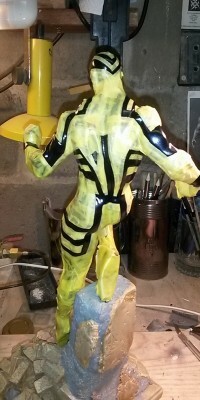 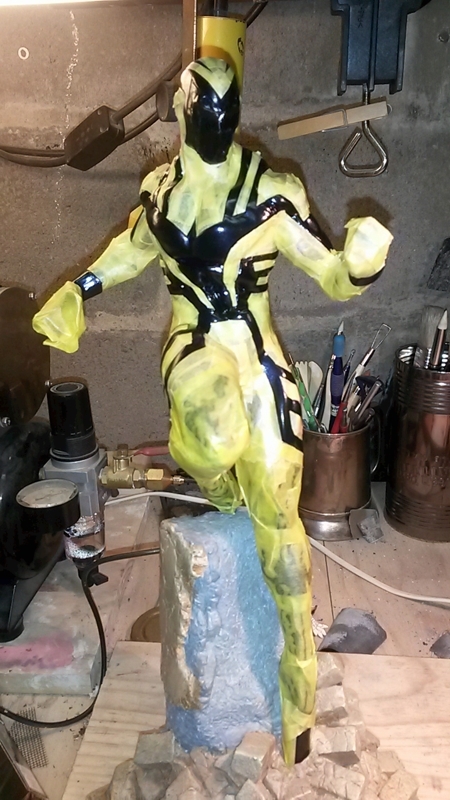 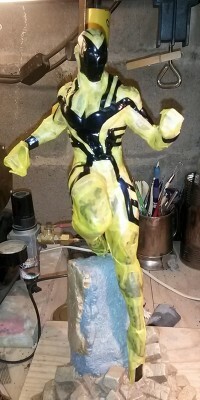 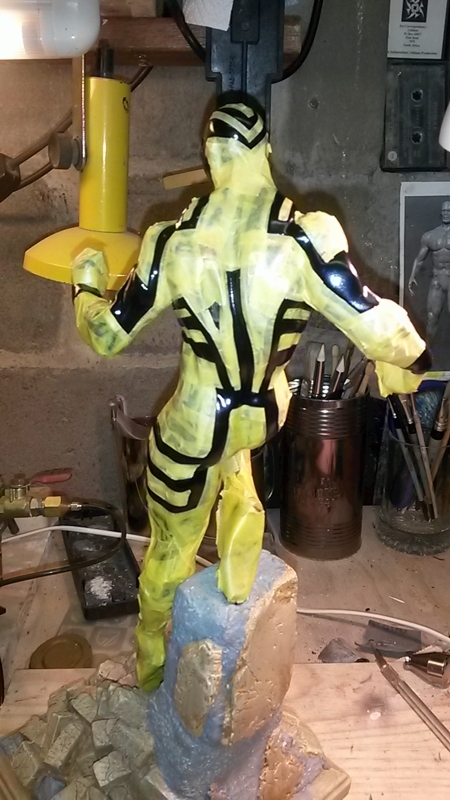 Original x-force colour scheme had been customised to original colour scheme, which had then been stripped off leaving the statue a bit dull and scratched. 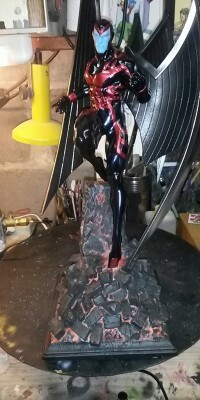 Owner wanted something completely unique and gave me his blessing to go all out! 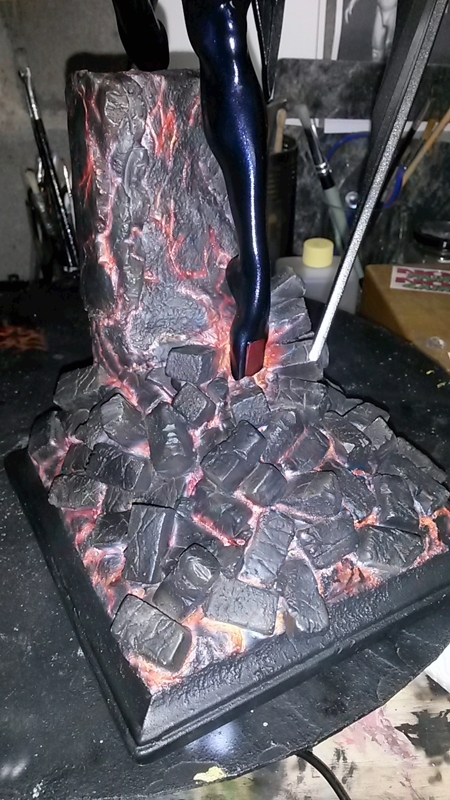 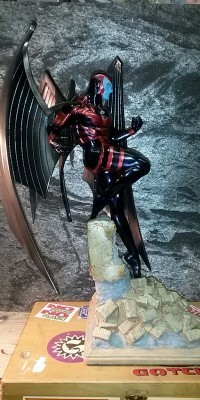 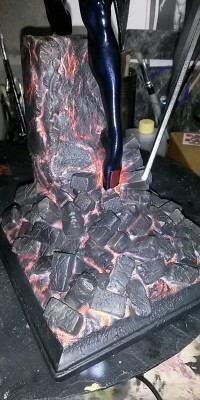 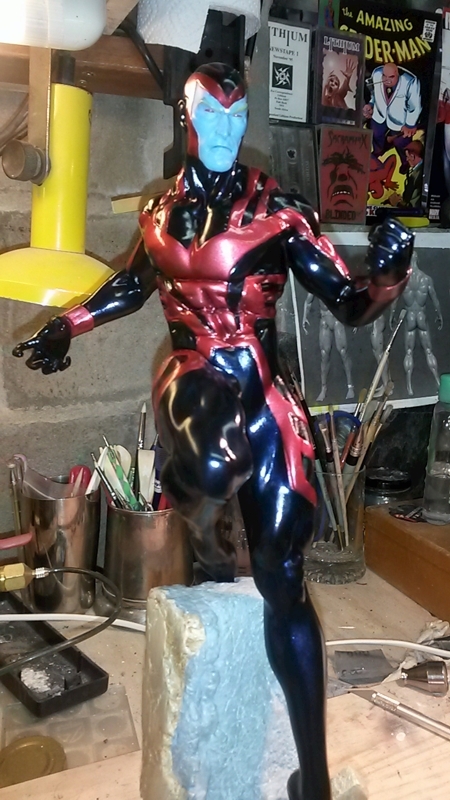 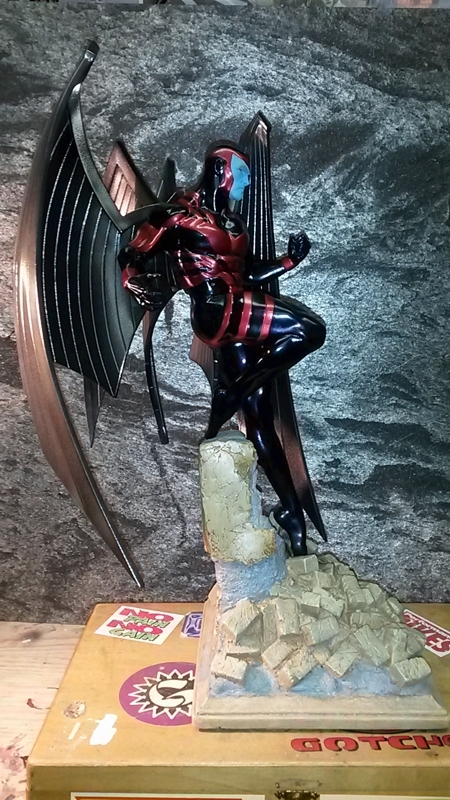 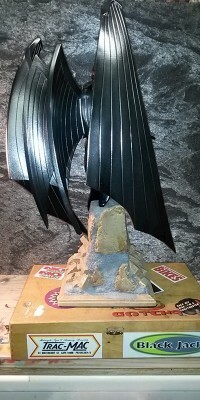 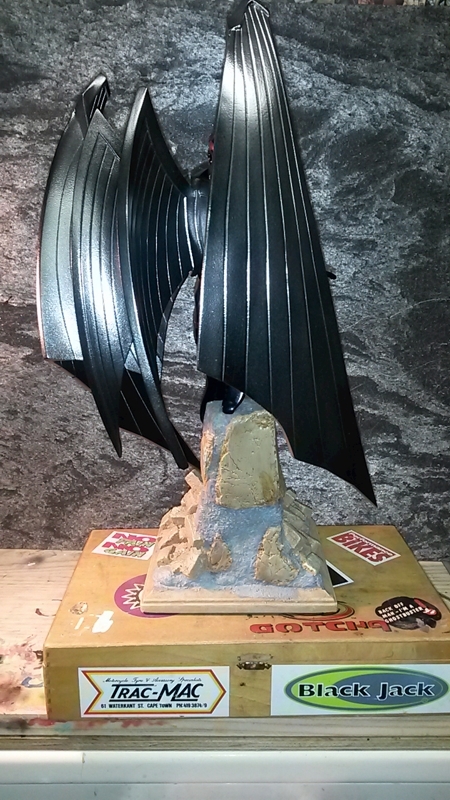 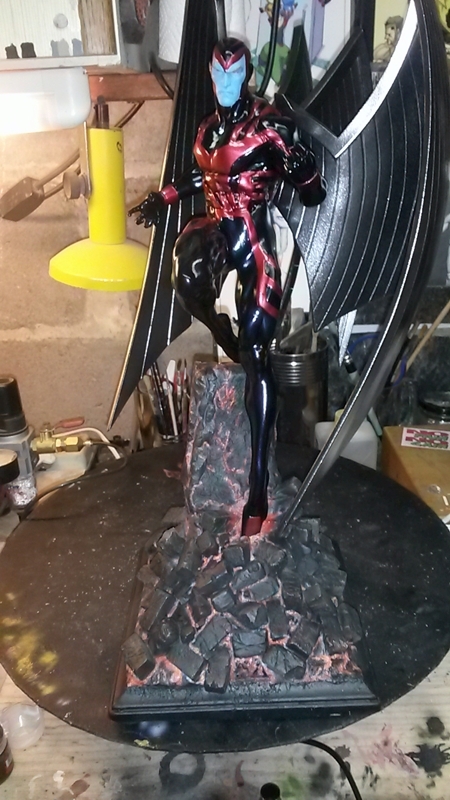 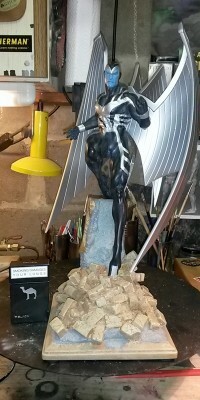 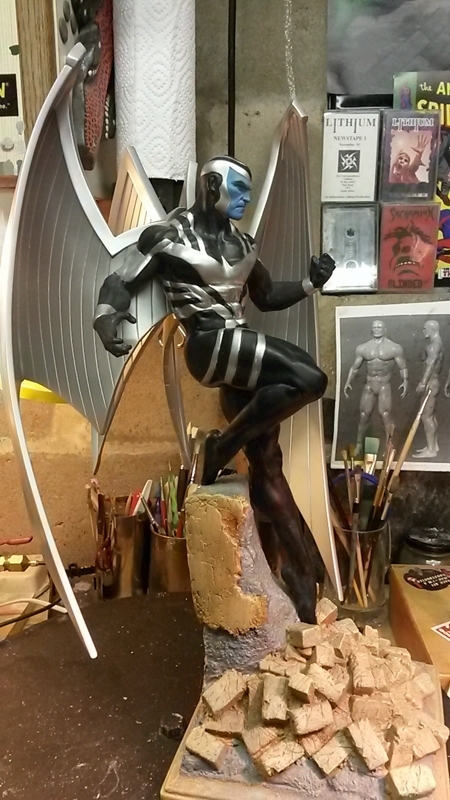 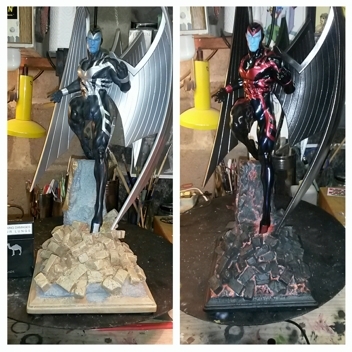 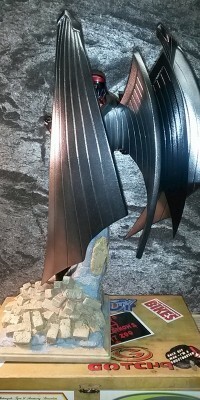 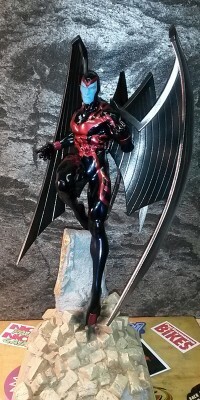 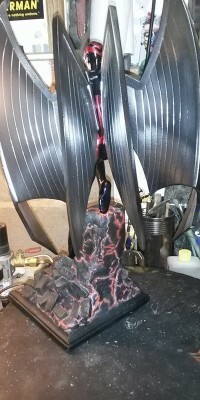 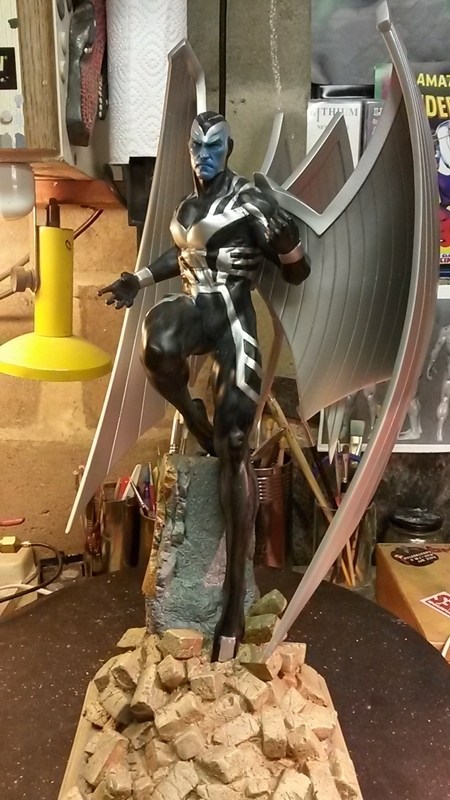 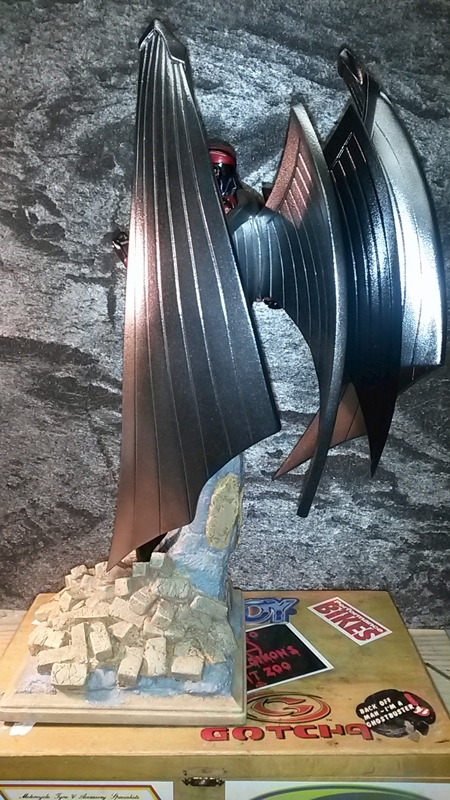 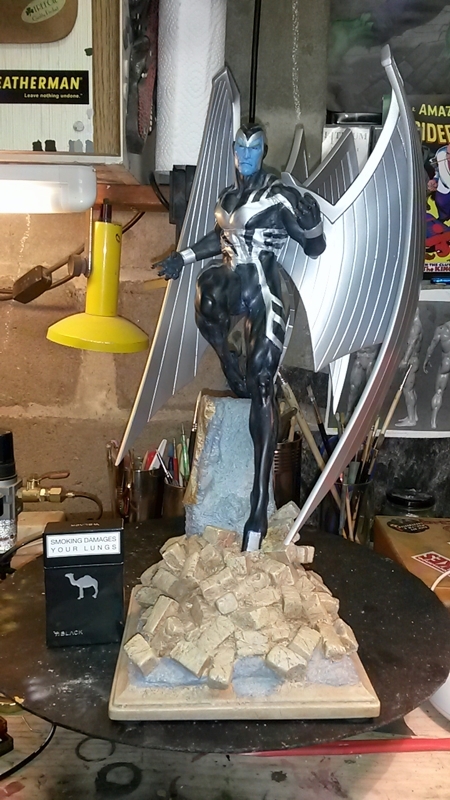 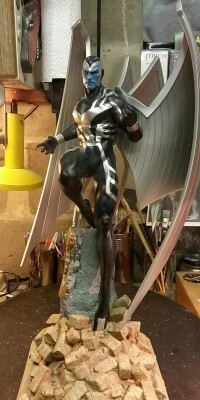 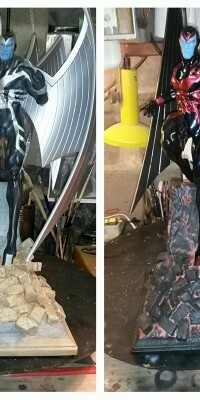 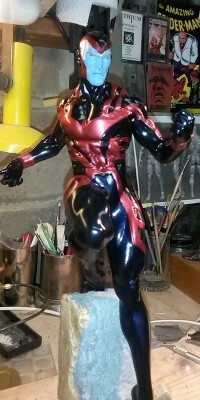 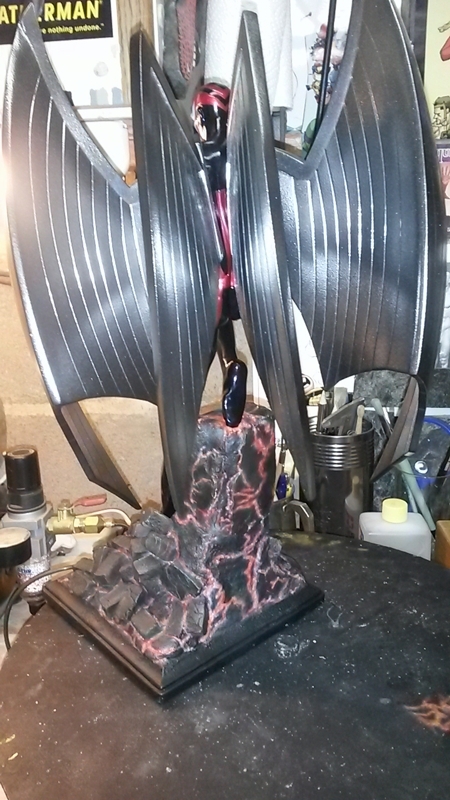 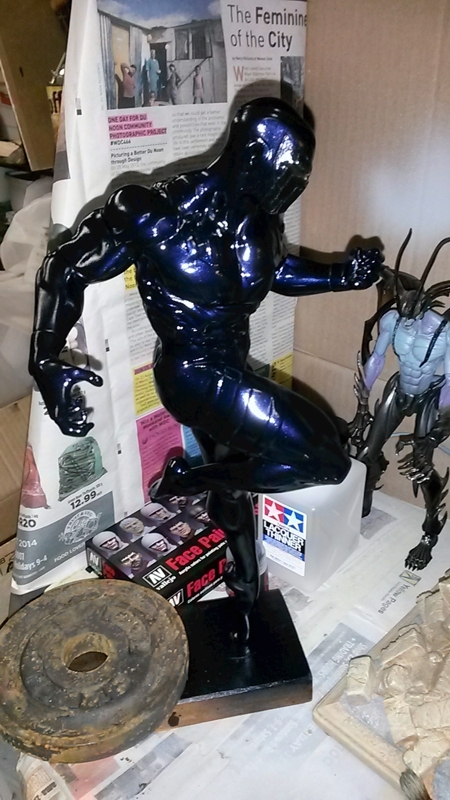 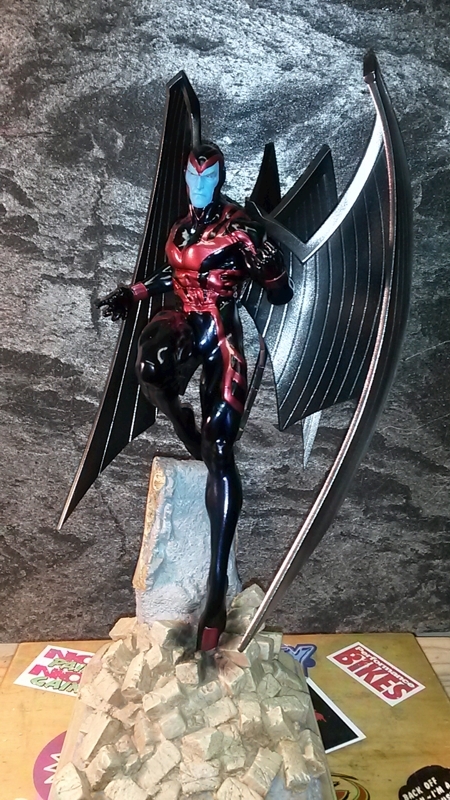 Repainted to deep metallic blue and red with chrome wings and custom base.